Science needs to harness the power of Israel Adesanya vs. Kelvin Gastelum at UFC 236. Compact that energy, stuff into an edible, and probably watch the world burn down. Oh well, Earth had a good run. The first 20 minutes of Israel Adesanya vs. Kelvin Gastelum is why all of us became MMA fans in the first place. This is what MiddleEasy lives for. When MMA hits top speed, there is no other sport in the world that can even touch it. The problem is….well, those are for another day. Right now let’s talk about how awesome the final five minutes of Israel versus Kelvin was. When it’s all said and done, this will likely be the round that defines 2019. Two first time title challengers just leaving it all in the cage. There used to be an argument for seven round MMA fights, but yeah that time has passed. The human body has its limits and both Adesanya and Gastelum danced near the edge of MMA on Saturday night. It was beautiful and the MMA world needs to enjoy all 300 seconds of it. 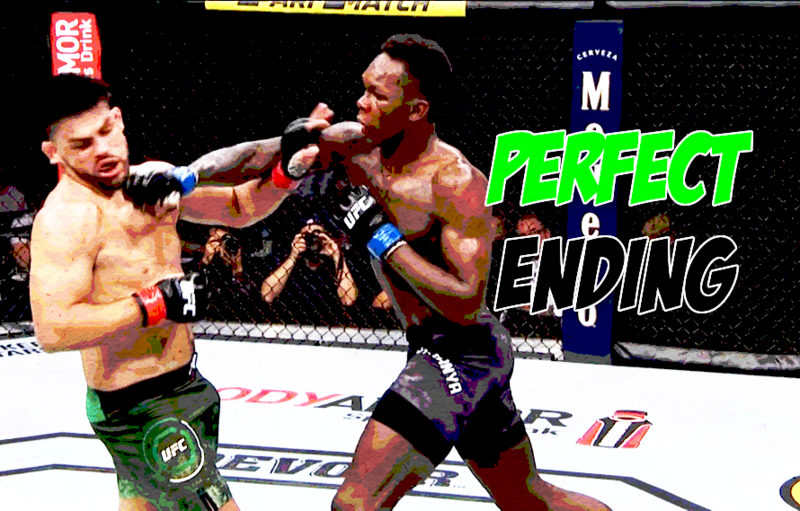 In case you missed it, you really need to watch all of Adesanya versus Gastelum again. For now let’s just watch the last five minutes again and a few highlights. How did KG just eat that elbow? Kelvin going for the take down, but why? What a fight. What a round. Bless the Fight Gods for this one. It’s rare to get the best round in the last round of a title fight between two fighters with everything still to lose. High stakes MMA remains the best MMA.